Stocks discussed on the in-depth session of Jim Cramer's Mad Money TV Program, Friday January 22. President Obama's attack on the banks now trumps earnings and industry conferences as indicators of what investors should sell or buy. As Obama intensified his rhetoric against financials, the Dow plunged 217 points and the S&P 500 fell 2%. Rumors that Treasury Secretary Tim Geithner might be replaced and uncertainty about Fed Chairman Ben Bernanke's future also threaten stocks; if either one leaves the Administration, Cramer predicts a correction of "a thousand points, minimum." Cramer also thinks the coming week might be dangerous for traders thanks to the plethora of diverse earnings. On Monday, Apple (AAPL) will report earnings and will release the Tablet on Wednesday. Cramer would sell into the product release and buy after. On Tuesday, Corning (GLW), EMC (EMC), Nucor (NUE) and Johnson&Johnson (JNJ) will report. On Wednesday, Boeing (BA) should give an indication when the Dreamliner will be released and Caterpillar (CAT) should discuss the health of its overseas business. Cramer would watch 3M (MMM), AT&T (T), Verizon (VZ), Colgate Palmolive (CL) and Procter&Gamble's (PG) earnings on Thursday. Amazon (AMZN) reports after hours on Thursday, and Cramer thinks the stock, which is up 150%, may get hit. He recommends buying it Friday on a decline. When the market sells off as it has the last few days, it's time to invest in long-term themes. Cramer has been talking about the "mobile internet tsunami" for some time now, and it pays to keep looking for plays in this area. As internet traffic grows at a rate of 40% per year and companies are expected to spend $35 billion on telecommunications, the problem of sufficient bandwidth becomes more urgent. Cogent Communications (CCOI), which is not to be confused with the defense stock Cogent, supplies bandwidth at 50% below the market price and provides its customers with a "one stop shop" high speed digital connection. Cogent Communications is able to provide this service because it has built up its own Internet Protocol data network through the purchase of small telco companies at an average of a 50% discount in the wake of the dot.com bust in 2000. Today, Cogent Communications is a Tier 1 Peering Partner, and is able to interconnect with other telco providers at no additional cost. Cramer declared "The easy money has been made," in HMOs after it has become clear that healthcare reform will be stalled or diluted and United Health (UNH), Humana (HUM) and RehabCare (RHB) have gained 103%, 172% and 141% respectively since their 2009 lows. Cramer is also concerned that cuts to Medicare will hurt these companies which derive anywhere from 30%-70% of their revenues from government programs. The one HMO Cramer would keep is Wellpoint (WLP) because it is not so dependent on Washington. Even though the stock is up 37% since October to $65, Cramer thinks WLP will be expensive at $90. Cramer still likes high-yielding drug stocks like Bristol Myers Squibb (BMY) which has a yield of $5 and medical device company Covidien (COV) which increased 20% since its strong quarter and still has some upside. 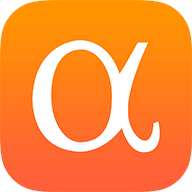 Seeking Alpha publishes a summary of Jim Cramer's stock picks every day including: Mad Money Recap, Lightning Round and his Stop Trading! Picks. Get Cramer's Picks by email-- it's free and takes only a few seconds to sign up.